Malnutrition in all its forms presents the greatest threat to human development, with far-reaching consequences. Currently one in every three children under the age of five years suffers from malnutrition in Zimbabwe. One way that the government and its partners are working to reverse this situation is by empowering women using various strategies. The operational environment is guided by several policies and strategies supportive of women’s empowerment. The National Constitution and the National Gender Policy (2013-2017) are examples of key policy documents guiding stakeholders involved in empowering women. UN agencies, civil society, the private sector and donor community supported the government in formulating the National Food and Nutrition Policy of 2013 which prioritises interventions for women of reproductive age. The Maternal Protection Policy provides 3 months of maternity leave post-partum and allows working mothers an hour off-work during the baby’s first six months to promote breastfeeding. The National Nutrition Strategy (2014-2018) launched in 2015 promotes the implementation of evidence-based nutrition interventions with a gender lens. The key players in empowering women include government ministries and departments, civil society, United Nations agencies, the donor community, the private sector and many others. Most often these stakeholders work together in supporting women with capacity-building trainings, supporting women to access finance through income saving and lending schemes and access to agricultural inputs. Other activities include dam construction and borehole rehabilitation which help communities, particularly women, to establish nutrition gardens. These diverse processes empower women to become income-earners, decisionmakers and agents of change thereby unchaining themselves from cultural, social, economic and political obstacles. Each of these actors have a unique role to play. The donor community, which includes the European Union, Japan International Cooperation Agency, United States Agency for International Development and U.K. Department of International Development, provides funding for the United Nations (UN) agencies and civil society organisations who implement projects in collaboration with different government departments. At the same time, donors and implementing partners are adopting innovative and coordinated approaches of pooling resources together to leverage existing programmes to maximise greater impact. For example, the World Health Organisation and the other UN partners use pooled funds to support the government’s efforts to improve women’s health. UN agencies also help to build the technical capacity of government and civil society practitioners, who in turn lead the implementation of projects in communities with government and community based structures. This ensures sustainability of interventions after the projects are terminated. 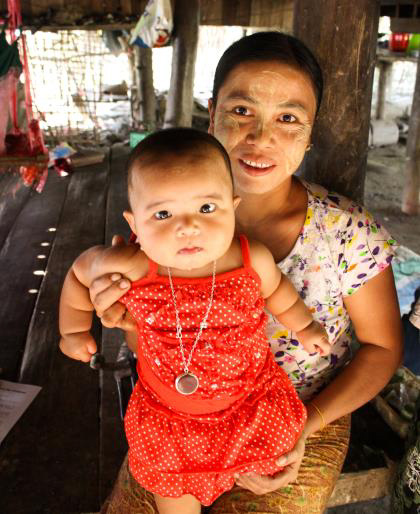 Through village health workers, the Ministry of Health and Child Care and UNICEF are implementing community infant and young child feeding interventions throughout the country. The aim is to empower mothers with children under the age of two with knowledge and skills that promote appropriate infant and young child feeding practices. 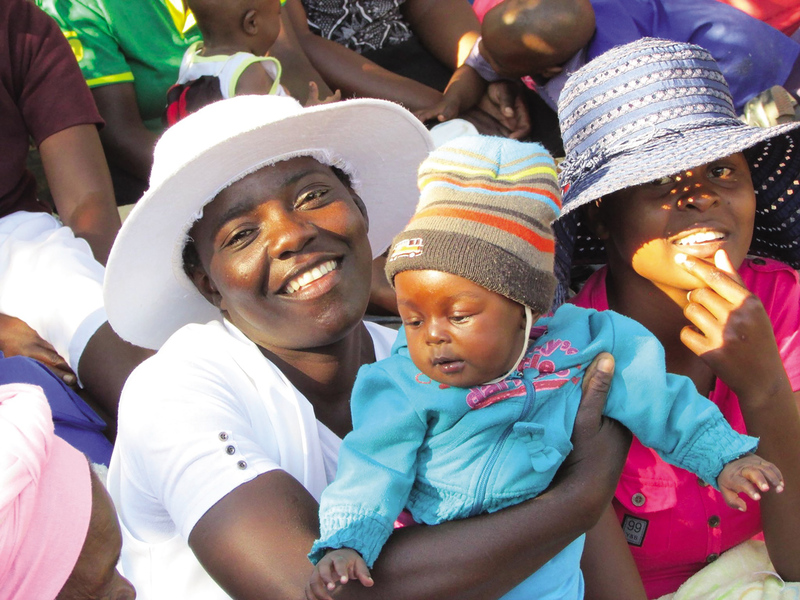 Mindmore’s baby is among thousands of young children across Zimbabwe whose nutritional status is rapidly improving thanks to the village health workers and community infant and young child feeding programmes. 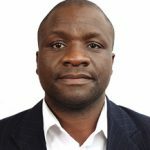 It is a sign that Zimbabwe is making progress on reducing vulnerability among poor families and adequately nourishing the children of today to help drive future economic growth and productivity as adults. “When my husband died, I had no choice but to carry on with life, though it was hard. I had no cattle, and you know the importance of draught animal power in our lives, but since I joined this project I now have two goats. Before, I used to do gardening but it would only sustain me and my family but now the produce is feeding me, my two grandchildren and I sell the surplus to surrounding villages. I get $15 dollars per week, which is $30 per month because the other two weeks the vegetables would be sprayed. Previously, it was hard to get hold of only $2,” she said. food and nutrition security of vulnerable women in poor communities in Zimbabwe. community food secure. The community forums also offer a platform for trade among members of the community. Together they have embarked on a water project for their fields. Living in an area that is abundant with water, they contributed money which they used to buy pipes for harnessing water from Mutarazi falls and connecting these to each household nutrition gardens. share information on introducing nutrient rich, diverse complementary foods at six months. Comprehensive laws and policies set a strong found for programmes that empower women. and government is commendable and can help reach a wider population and achieve greater impact. 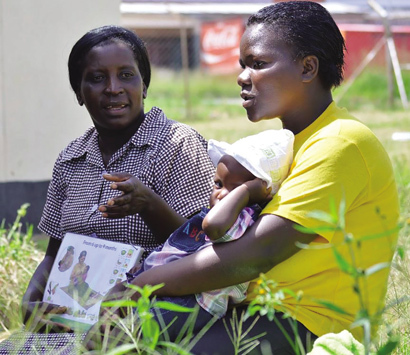 Mindmore’s story gives a loud and clear message that village health workers are key entry points for engaging communities as a central part of the solution to women’s empowerment. Food and nutrition programming targeted at empowering women should also involve men to help ensure they can play an active role in improving practices and changing behaviours. The involvement of community based organizations are key ingredients to empowering women. They can play an important part in supporting community forums which are critical platforms for operationalizing a people-centered, multi-stakeholder and multi-sectoral response to nutrition. By ensuring women are given the chance to engage and play leadership roles, these forums not only help women to attain the skills and knowledge they need to strengthen their livelihoods and earning potentials but also to understand the most nutritious ways to feed their families.